Welcome classic Christian rock / metal fans! In this episode of the Pastor Brad Rocks Christian Metal Podcast, I share three cuts from 2003's ROCK YOU UP, mixed with some humor and heepin-helping of spiritual encouragement from God's Word. Enjoy! 80s Christian Metal Big Hair Friends, Enjoy! Click on the FREE GUITAR LESSONS tab above, or on the image below to learn more! The Ultimate Christian Rock / Metal YouTube Playlist. 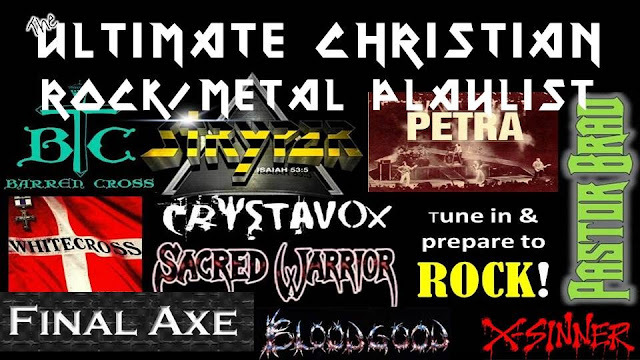 Dude, if you love, classic, 80s, BIG-hair, melodic, spandex, killer vocal, shredder guitar-solo Christ-honoring HEAVY METAL----You will love this play list! Check it out! Jesus Rock Solid--Parody of Detroit Rock City--Release THIS FRIDAY, April 29! KISS was a giant musical influence on me as a kid back in the 70s. When KISS Alive 2 came out--with that amazing shot KISS in concert--spread across the entire center of that double album I was one-hundred-percent mesmerized. If you're a fan, you know that track one on that album was Detroit Rock City--and it's had a special place in my musical influence catalogue ever since! 1) I wanted to pay homage to the musicians who impacted my life in huge ways and played a significant role in influencing me to become a musician myself. 2) I wanted to honor Jesus--the great Redeemer--by redeeming the message of the song. The original song was about a kid who dies in a car accident (according to the stories I've heard) on his way to a KISS concert. The lyrics to Jesus Rock Solid proclaim the Lordship and majesty of the Author of Life--who will return some day to judge the living and the dead and usher in a glorious new creation. 3) I wanted to put just a little Pastor Brad spin on the performance--I think that comes through. I'm really happy with the way this one turned out. I hope it will totally Rock You Up for Jesus! Thanks for taking the time to check this out. You can get the song at pastorbradrocks.net THIS FRIDAY! And on that same day -- it goes live on YouTube! This playlist draws form Stryper's SOLDIERS UNDER COMMAND album--coupled with various Pastor Brad tunes. Enjoy and if you enjoy it, follow and share! Thank you! Listen to Out Of The Hellhole -- Full Album - on YouTube. It's my total honor to share my 2004 80s Style Christian Metal Release with you on YouTube... and here at guuitarjams! Out Of The Hellhole is a special album for me because it contains a lot of songs with roots in my early high-school-garage-band days. Several of the songs on this one--including, "I will follow, Faithfulness and Saga were all composed in various garages in Anderson, Indiana. Anways, I'm sure my remenising it's nearly as interesting to you as it is to me :-) Enjoy the album! I think I was over at my friends'--Billy and Darens' house... they had KISS ALIVE 1... I remember sitting on their bed-room floor mesmerized by the album artword/info... 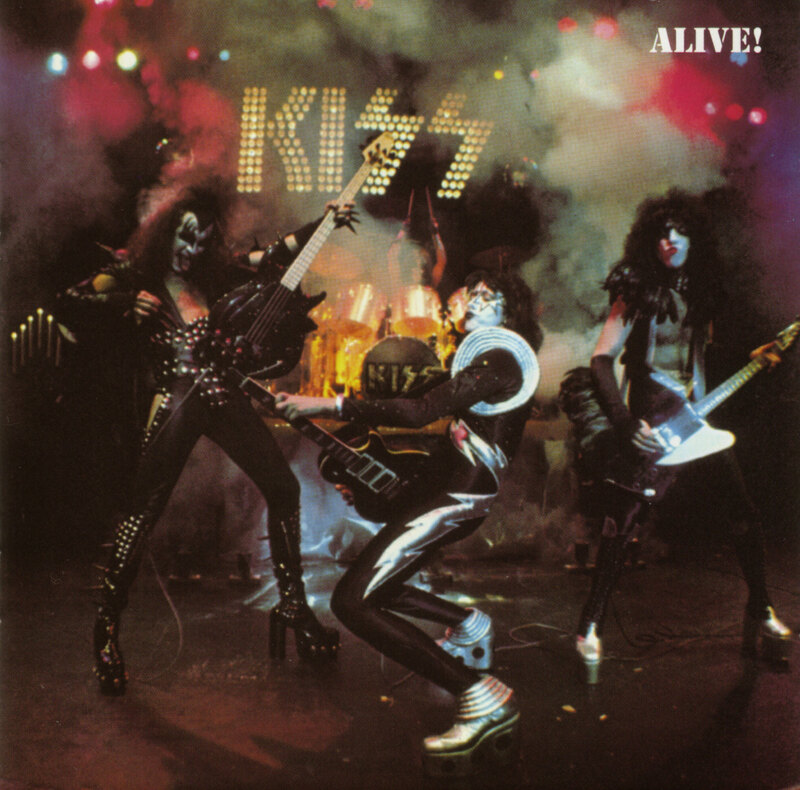 Remember the "letters" from Gene, Paul, Peter & Ace on the inside cover... in the middle..that was another thing that was super cool about ALIVE 1 -- it was a double album, which gave them a lot of space to plaster really cool images, etc. all over. I'll never foget that photo of the crowd with the four or five fans standing there holding... I think it was a home-made KISS banner. I always thought, "Wow, how cool would it be to be those guys!?" Yup, I was pretty geeked out over KISS as a kid. I bragged about having EVERY album they had released---up to Asylum. I saw them six times in concert... three times on the Asylum tour alone--Indy, Terra Haute, and Evansville (where I got backstage and met Eric Carr--which is a story I'll share later). A LOT has changed in my heart and life since those days, but there was no way I could do an album of music that influenced me as a kid and not include a KISS song. Jesus Rock Solid (parody of DETROIT ROCK CITY) kicks the whole thing off---which appropriate because in many ways KISS was the first hard rock band I really dug. Y-know, it's funny. I always had kind of a bad taste in my mouth for parody songs. I think it must have been my experience with Weird Al and his early 80s parodies of Michael Jackson's Beat it ("Eat it") and Bad ("I'm fat"). The whole concepts just felt cheesy and cheep to me--not disrespect intended to Al. For a long I wanted to do some kind of Christ-honoring version of a Cover/Tribute album--to highlight and pay due homage to the music and musicians of the 1970s & 80s who inspired me to become a musician. So in late 2015 I picked out 20 songs and set to workl laying tracks. My plan was to keep as many of the original lyrics in tact, tweek things just enough to clean-up (where necesary) and redeem/nonor Jesus (where possible) the lyrical message. You can see the full track list HERE. Just scroll down to the Storm The Gates Album info. You can't just tweek a lyric in a song... I mean you might be able to change "a" word, but not three or four lines--let alone transform the message/meaning of a song. That's a major copyright infringement and you have to get permission from the rights holder to do it. The Parody/fair use laws in our country are very fair. I found a GREAT video that TOTALLY help me understand this issue. On the off-chance that you might want to learn about the legalities of parody--here's the video I watched. So, I decided to do a PARODY album. But not in 1980s cheeze-whiz style---I set out to create an album that truly reflect the statement I use to describe my music to people all the time. "If AC/DC, KISS, Judas Priest, Ozzy and Iron Maiden jumped into a Christian blender and came out playing Christ-honoring music---that's pretty much what you get with Pastor Brad"
And that's truly pretty much what you get with the Storm The Gates album(s). Are songs on STORM THE GATES parodies or just rewrites (A.K.A. “derivative works”)? According to Webster's dictionary, a parody is "A composition in which the form and expression of serious writings are closely imitated but adapted to a ridiculous subject or a humorous method of treatment; a burlesque imitation of a serious poem." This definition describes perfectly the songs on STORM THE GATES. I did my best to closely imitate the style and sound of the original compositions and I adapted them to a subject that seems utterly ridiculous to many non-Christ-following people. The primary message of every song is the Cross (I.e. the redemptive work of Jesus Christ at Calvary). The Apostle Paul wrote, “For the message of the cross is foolishness to those who are perishing, but to us who are being saved it is the power of God.” (1 Corinthians 1:18) While my fellow Christians will view this message in the spirit that Paul describes above, as “the power of God,” many will likely perceive the whole thing as a gimmick or uninformed, naïve religiosity. I’m sure many will view the mixing of secular rock music with biblical lyrics as ridiculous or possibly even scandalous. Others will find it all quite amusing and humorous. I know that before I became a Christian, I felt there was something inherently funny (cheesy/ridiculous) about a “serious rock song” being used for “religious” purposes. For all of these reasons, in my view—the songs on Storm The Gates are the epitome of parodied music. It was the Holy Diver tour, Oct. 24, 1985 @ Market Square Arena, Indianapolis, IN. I was seated about 45 feet from the stage... up on the left just a bit... really good seats. By the way--as an aside--I was 18. I had been raised in Church, but I was in no way living for Jesus at this time. I was HUGELY into the whole metal music/party scene. The lighting shifted to match the mood and the crowd cheered. Ronnie played up--interacting with the audience retion. Then the mood shifted again. The tone took on a celestial, sort of heavenly feel. Ronnie continued with the story. And it said, 'Come with me, cause I know just what to do.'" Then Ronnie concluded the story with words that shook the building and cut me to the heart. "But I said, 'Go away! Cause I'm gonna burn in hell with all of you! And you! And you!" (as he pointed at various sections of the arena). Bright lights lit up the crowd as they roared to life, shouting out in full-throated agreement! My jaw dropped. I was stunned. What just happened here? Did he really just say what I think he said? Did all of these people just respond the way I think they did? All I could think was, "Unt uh buddy! Not me man! You can go there if you want to--but I'm not going with you!" I didn't go to a Dio concert expecting to hear from God, but I sure did! I didn't commit my life to Christ right then and there... but God definitely got my attention and set some things in motion within my heart. My spirit woke up to some spiritual realities I had ignored for too long. Eighteen months later I surrendered my heart to Jesus and never looked back! The above story is an excerpt from The Metal Devotional, available for FREE right here at GuitarJams! Jesus said, "I will build my church; and the gates of hell shall not prevail against it." I really misunderstood these words of Jesus' for a long time. 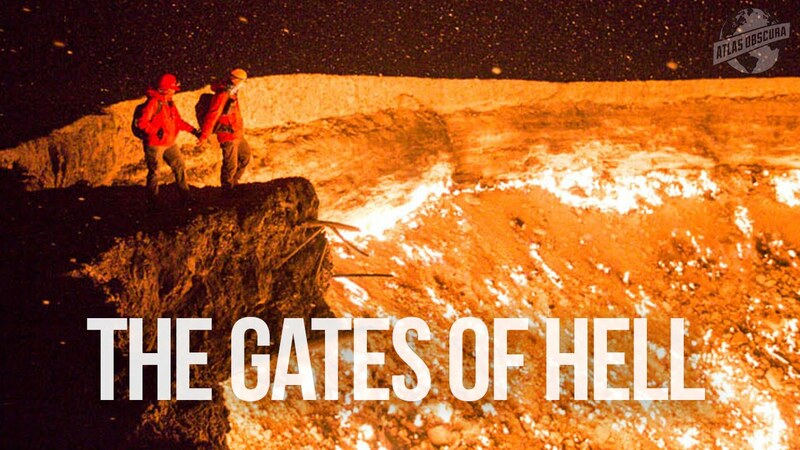 I somehow thought whne Jesus talked about the gates of Hell not prevailing that he meant, "If you stay in the church-- Hell can't getchya." I don't really know how I got that idead from what Jesus actually said, but I do think I know WHY I thought that. The church seems to be brimming with an attitude of "defense." I.e. we're just trying to stay safe and secure. We hope if we believe the right things, avoid the bad things and go to church seriices that God will forgives us and bless us and keep the big bad devil away from us. Maybe I'm overstating it a little bit, but I'm sure you know what I'm taling about. The point is--what Jesus actually said is RADICALLY DIFFERENT than that. Jesus' words in Matthew 16:18 are one-hundred and eighty degrees opposite of a defensive mindset. Jesus is thinking OFFENSE! Jesus is saying the ekklesia (that's the Greek word that's translated "church" in this verse) that I'm going to build will be so filled with my love, grace, power and courage--that the gates of Hell itself won't be able to stop them from bursting through, right into the darkness with the message of the cross and liberating souls from darkness! That mindset is the inspiration behind the title of my soon to be released album STORM THE GATES! Storm The Gates is a blend of SACRED and SECULAR. I took nine classic hard-rock/metal songs from the 1970s & 80s and parodied the lyrics from a Christ-honoring perspective. I wanted to create an album that musically paid homage to the musicians who inspired me to become a musician and at the same time I wanted to redeem the message for the glory of Christ. 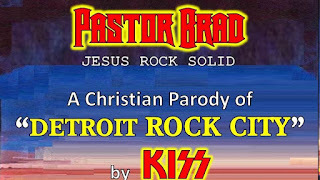 The first song, "JESUS ROCK SOLID" (a parody of Detroit Rock City, by KISS) is scheduled to be released at pastorbradrocks.com with an accompanying video on YouTube, Friday, April 29th. After that I will share a new track every Friday until the entire album is released. The album will be released on CD Baby, July 4th. CD Baby will then push it out to all of the major music distributors. I'm so looking forward to sharing this album with you! To stay informed, sign up for my weekly Pastor Brad Rocks eMail today---RIGHT HERE!